A business must be "sold" not only to an interested buyer but also to its involved accountant, lawyer, lender and other involved advisors. BNO knows what all these people need and knows how to best present it in a prepared business summary / prospectus to ensure a smooth and efficient sale process that maximizes the sale price. 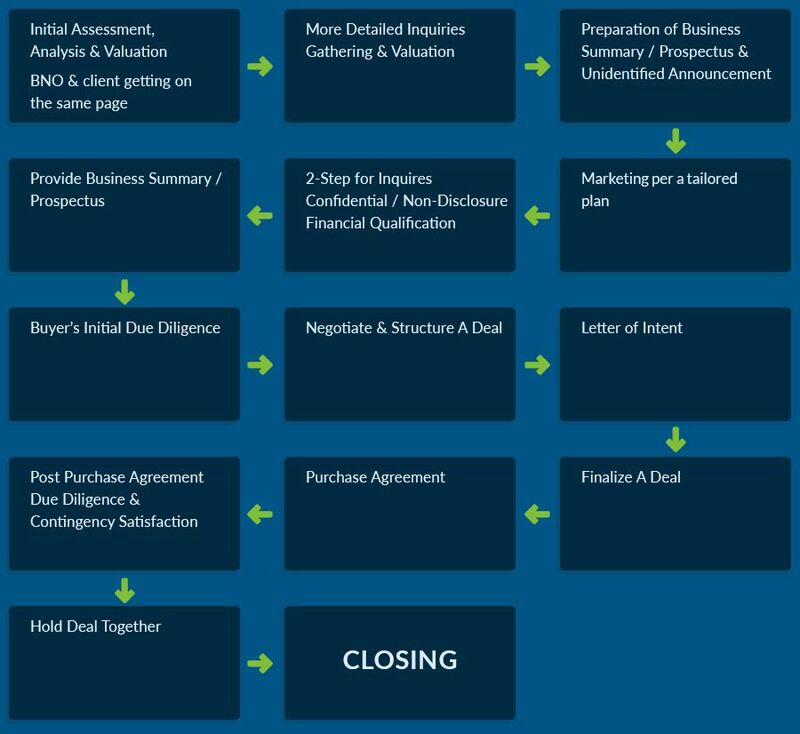 Deals tend to stop or stall along The Process. BNO has the experience & expertise to successfully navigate the course required to reach a closing upon the most favorable of terms. Brokering the sale of a business is very unlike selling residential real estate wherein the goal is to immediately tell the world that such real estate is for sale.